The current treatment of young-age creationists in the scientific community and society at large is unfair and unwise. Scientists and philosophers of science, including old-age creationists and naturalists, should respect young-age creationists as legitimate contributors to science. Young-age creationists offer to the current origins science establishment a competing rational viewpoint that will augment fruitful scientific investigation through increased accountability for scientists, introduction of original hypotheses and general epistemic improvement. Figure 1. Fossil footprints in the Coconino Sandstone, Arizona. 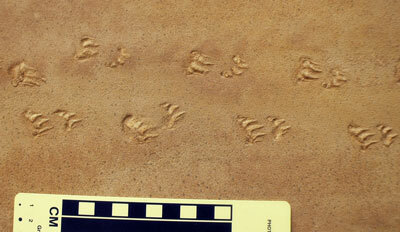 These are tracks similar to those studied by Leonard Brand and are found at many locations throughout northern Arizona. It is no secret; young-age creationists (hereafter YACs) have a poor reputation in the scientific community at large. Those working from a biblical young-age perspective receive criticism not only from naturalists but also from progressive creationists who hold the earth to be billions of years old. It may be worth asking why most scientists criticize young-age creationists, but such is not the goal of this article. The goal is rather to state positively why all scientists and philosophers of science—from misotheist Daniel Dennett to Intelligent Design theorist William Dembski—should see young-age creationism (hereafter YAC) as a good thing for science. The basic idea is that YACs offer to the current origins science establishment a competing rational viewpoint that will augment fruitful scientific investigation through increased accountability for scientists, introduction of original hypotheses, and general epistemic improvement. Before this argument can leave the ground for many readers, however, a few preliminary comments are in order. Some may wish to quibble over the definition of science. One may insist that science proceed only upon testable hypotheses, ruling out any ‘religious’ view from the beginning. 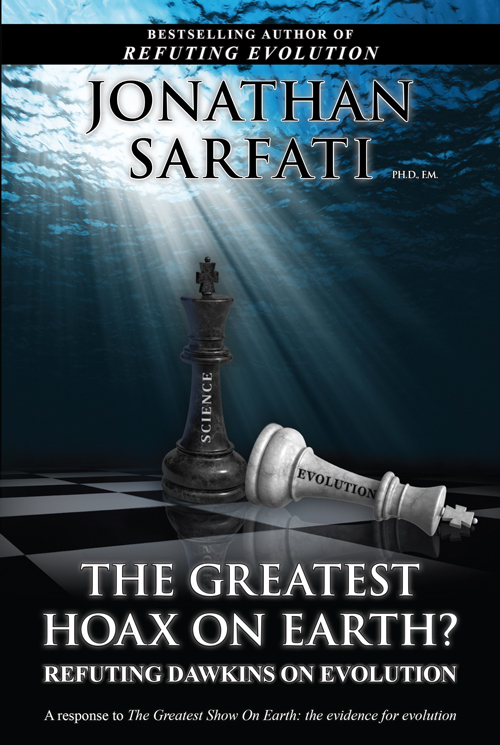 I would not be the first to point out that, if no untestable hypotheses are allowed, evolutionary biology and uniformitarian geology are not true sciences either. A more sensible approach would be to make a distinction between science that does restrict itself mostly to testable hypotheses and science that, by necessity, involves some scarcely testable or untestable hypotheses. Some have called the former ‘empirical science’ and the latter ‘historical science’.1 A more useful term for the latter may be ‘speculative science’, since some philosophical scientific theories, like string theory, are ultimately untestable yet unrelated to direct questions of history. Still, all of the ‘historical’ sciences fall in the category of speculative science. No science that postulates an origin for the universe, the earth, or the human race has any hope of ridding itself of untestable and significant hypotheses, such as ‘God did (or did not) enact direct causation on the universe in the past.’ Further, it would stretch the definition of theology or religion too far to insist that YACs are conducting theological or religious experiments when they place fish in a tank and watch them rot to learn about how to interpret fish fossils, for example.2 Such science is still science more than it is anything else; it is simply speculative science. The young-age creationist does nothing fundamentally different in science than the naturalist, however objective and detached the naturalist may seem. Everyone processes experience with a set of preconceived notions. Call them control beliefs, presuppositions, operating assumptions, basic beliefs or a worldview; it matters not. Even the ideally objective scientist, supposing there is such a thing, makes the wild assumption that objectivity is the path to knowledge. What if God created the world and the human race in such a way that rightly directed passions are necessary for an accurate understanding of natural phenomena? That is to say, what if those who love God are the only ones who can really see the world clearly? The truly objective (and therefore passionless) scientist could miss an accurate representation of the world completely. Surely maintaining the (very recent) scientific tradition is not worth such a risk! At any rate, the presumption of naturalism is no more warranted than the presumption of theism, as many have argued.3 All scientists use empirical data to explain the world as they understand it; some just begin with a different understanding of the world. If there is any methodological difference between creationist scientists and naturalistic scientists, it is that creationists must (due to social pressure) acknowledge and critically reflect upon their assumptions where they meet scientific inquiry, while naturalists always face the temptation of uncritically hiding behind naturalistic methodology. If anyone has a special claim to being a responsible scientist, it is probably the creationist. Some may insist on a distinction between speculative-but-naturalistic science and speculative-and-religious science. Such a distinction is arbitrary because naturalism involves serious metaphysical assumptions and has serious ethical implications like any other religion.4 Nevertheless, definition of the word ‘religion’ is beside the point. The real problem with ruling YAC out of science on religious grounds is the educational oppression such a distinction is causing. In the United States, religion cannot be forced dogmatically upon students in public schools, but ‘science’ can. Questions relating to the origin of the world and the human race are far too important for any answers on any grounds using any definitions of ‘religion’ and ‘science’ to be passed off as public knowledge without dissenting voices being heard—so long as their arguments are rational. YAC has the potential to improve the world of science significantly through increased accountability for speculative naturalistic scientists. Whatever one chooses to call it—a science, a pseudoscience, or a religion—YAC has the potential to improve the world of science significantly through increased accountability for speculative naturalistic scientists. The US legal system is a good example for how science should, and could, work. US criminal trials operate on the adversarial system, in which two lawyers face off, one unequivocally in defense of the defendant, and one unequivocally prosecuting the defendant. If any lawyer seems to lose a case on purpose, even if it is because the plaintiff decided that the defendant really was innocent, that lawyer can lose his or her license. This system, though it is often abused, is actually ideal for ensuring justice in the majority of cases. As long as one lawyer is not vastly superior to the other, each lawyer will offset the arguments and even the theatrics of the other, and the jury, considering both one-sided arguments together, will see the truth. The actual guilt or innocence of the defendant is irrelevant to the task of the lawyers, yet their faithfulness to their assigned tasks is what helps ensure that the truth comes to the surface. If there is any doubt regarding the superiority of the adversarial system, one need only reflect upon the gross injustice of other systems, where much relevant evidence and very good arguments never find their way to the courtroom because no lawyer is assigned to bring them. Arthur Miller’s depiction of the Salem Witch Trials in The Crucible illustrates the injustice of trials held without a functioning adversarial system.5 Historical accuracy and his actual motivation for writing aside, Miller’s story teaches an important lesson. In the play, the townspeople of Salem end up accusing and executing several ‘witches’ whose only crime was that their accusers did not like them, wanted their land, or had some similar unjust reason to get rid of them. The eyewitness accusers carry the day because no one really considers the arguments which the ‘witches’ offer in their own defense. The Crucible reminds us that innocent people can lose their lives when the adversarial system breaks down and the accused have no voice with which to make a defense. If scientists learn the advantage of the adversarial system for science, YACs will turn from witches to attorneys, and all will benefit. Suppose, for the sake of argument, that the theory of evolution is true and that the earth really is billions of years old. Is there any benefit in maintaining a naturalistic dogma in scientific methodology? If the naturalist is correct, what has he to fear from a minority group that wishes to approach his data from a different perspective? He, with society, only stands to gain. As he and his adversaries all present the best case that they can make, they can offset one another’s erroneous biases, and the truth can show through all the more clearly. For this very reason every rational view ought to have some staunch defenders. If a rational view gets dismissed from scientific discourse without vigorous defense, the public has as much reason to trust the court rulings of Miller’s Puritans as to trust a naturalistic interpretation of scientific data. Perhaps origins science would have progressed much more efficiently in the past century if Darwinists had heeded Chamberlin’s advice. The only problem with Chamberlin’s view is his characteristic modernist optimism that an individual scientist actually could give adequate consideration to all rational hypotheses in any given situation. Inevitably, most rational hypotheses would not enjoy the thorough consideration that an advocate dedicated to each individual view could provide. The adversarial system offers a great improvement upon Chamberlin’s view because it ensures that all rational hypotheses will get a fair chance at explaining the data as long as scientists with different hypotheses take one another seriously. Science would not then depend upon hapless individual attempts at pure, passionless objectivity. Rather, the collective efforts of unashamedly biased—that is, honest—scientists would create a collective objectivity in scientific investigation. Only when scientists are allowed to dive whole-heartedly into defense of the theories they hold dear, provided they maintain intellectual integrity, can society really be confident that all rational hypotheses have been weighed on just scales. There is a significant disanalogy, however, between a legal adversarial system and the scientific adversarial system in which YAC should be allowed to play a part. In the legal version, fundamental biases for or against the defendant are assigned or hired. In the scientific version, each scientist chooses (or at any rate uses) whichever research-guiding biases seem best to him or her. In this way, the scientific adversarial system actually has a better prospect of success than the legal system. Even the most honest and dedicated lawyer is not likely to put forth effort equal to one contending for the basic hypotheses that shape his view of the world. Only when scientists are allowed to dive whole-heartedly into defense of the theories they hold dear, provided they maintain intellectual integrity, can society really be confident that all rational hypotheses have been weighed on just scales. The key phrase in this passage is ‘exploiting the potential scope and precision of the older paradigm.’ Although Kuhn does not advocate an adversarial system for science, he recognizes that dedication to one’s paradigmatic hypotheses about science is the key to discovering, for the scientific community in general, just how far a theory can go in explaining the data. In the current discussion, naturalists serve to show evolution’s best explanation of scientific data (its ‘scope and precision’) and YACs serve to show how well the biblical creation account can explain the scientific data. Kuhn does not think that two paradigms can coexist for long, but that is where the current scientific community needs to prove him wrong. Kuhn sees the largely socially-driven succession of one totally dominant paradigm after another as evidence that science does not yield truth but rather proceeds toward no particular goal.11 If multiple paradigms can remain in dialogue for an extended period of time, scientists will have the opportunity to show that creationists and naturalists are not talking past one another and that they have enough common ground to suggest very strongly that there must be a real truth in science toward which both are moving. Otherwise their intelligent debate based from radically different paradigms would be nearly inexplicable. To a notable extent, YACs are already doing their part for adversarial science in a role that even the Intelligent Design movement cannot fill. YACs are showing, through real, responsible research that they have some valuable, original hypotheses to suggest based upon a biblical young-age model. Some YACs, such as Leonard Brand, Russell Humphreys, and Steve Austin have made scientific discoveries that were long overlooked by naturalists because the young-agers dared to suggest hypotheses which would never have occurred to one dedicated to an old-age view. 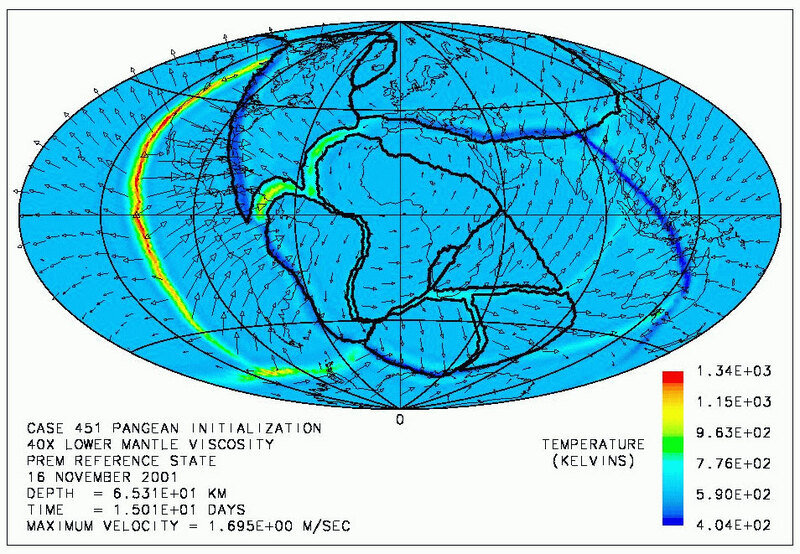 An image of the continental plates generated by Dr Baumgardner’s Catastrophic Plate Tectonics model. Paleontologist Leonard Brand has made a significant contribution to the study of the Coconino Sandstone, a layer of fine-grained sandstone that sprawls over much of northern Arizona.12 At least since 1933, the standard interpretation of the Coconino Sandstone has been that it formed from wind-blown sand dunes in a desert climate.13 The many fossilized vertebrate footprints in the lower half of the deposit had been interpreted as having been made on dry sand, even though, before Brand, no one had conducted rigorous laboratory experiments to determine whether the prints really looked more like underwater prints or prints made in dry sand. The wind-deposited model seemed satisfactory to old-earth geologists, so it is unlikely that anyone would have sought to reinterpret the fossil footprints any time soon. However, because his biblical Flood model for geology implies that the Coconino Sandstone was more likely laid down underwater, Brand set out to discover whether the fossil footprints really fit the Flood model or a desert deposit model better. Figure 1 shows an example of the kind of footprints Brand studied. Two hourglasses representing the same rock. 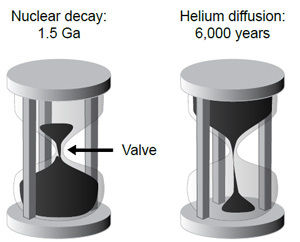 In the first, 1.5 Ga worth of radiometric decay at today’s rates has occurred, while in the second, only 6,000 years of helium diffusion has taken place. D. Russell Humphreys’ work with nuclear decay in zircons is another shining example of YAC having positive and helpful input for science, precisely because of young-age presuppositions informing a scientist’s hypotheses. Radiometric dating is obviously a huge problem for YACs like Humphreys, who holds the earth to be about 6,000 years old.22 However, YACs have come up with a significant challenge to the assumption that radioactive decay has occurred at the same rate throughout earth history. Based upon biblical indications of a young universe, YACs have hypothesized that abnormally rapid radioactive decay occurred during the Flood. 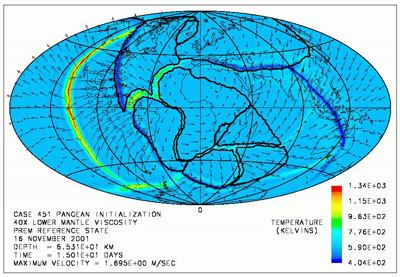 Humphreys put this hypothesis to the test by boldly predicting and publishing theoretical Helium ‘leakage’ rates from zircon crystals based on old-earth and young-earth models.23 Humphreys sent samples of the zircons in question to an independent lab for testing, and the test results were consistent with Humphreys’ young-earth prediction.24 More to the point, a second set of data confirmed the first set and directly repudiated the 1.5-billion-year age geologists had measured for those zircons based upon the amounts of uranium, thorium and lead in the crystals. If the zircons were really as old as the traditional and trusted radiometric dating method indicated, the Helium decay rates should have been around 1/100,000 of what the tests showed them to be.25 Before Humphreys, it had not occurred to any uniformitarian geologist to test the diffusion rates of helium in zircons, but the tests are proving very relevant. Humphreys, like Brand, has suggested a new and fruitful line of research because of his young-age beliefs, and he has shown the former interpretation of radiometric data to be in need of further investigation. Steve Austin, who holds a Ph.D. in Geology from Pennsylvania State University, also took bold and fruitful action on the basis of his young-age beliefs. Even though K– Ar dating is supposed by uniformitarians to measure rock ages in the millions of years, he decided to test the dating method by measuring the amount of argon in rocks with a known age. He chose porphyritic dacite which hardened in 1986 on Mount St. Helens. The rocks returned ages ranging from 0.34 to 2.8 Ma.26 This massive dating error revealed that the age of an igneous rock is not necessarily ‘reset’ each time the rock melts, as uniformitarians had generally assumed. In the case of Mount St Helens, some argon apparently had been trapped in the lava, making the rocks appear as though potassium had been decaying and producing argon for much longer than the rock had really existed. Austin’s work has highlighted the problem of dating such rocks, thanks to thinking inspired by his belief in biblical creation. Brand, Humphries and Austin are good examples of YACs who are making positive contributions to science, but many like them are doing noteworthy science from a young-age perspective. A few others include John Baumgardner, Werner Gitt, John Sanford and John Hartnett. German creationist Werner Gitt has done significant work in information science, including writing the book In the Beginning was Information, which presents an argument that information must have an ultimate personal source.28 Dr Gitt has helped the information science community move toward a better understanding of what information really is by building upon the work of Claude E. Shannon.29 His thoughtful contributions to that pioneering field could not be what they have been if not for his religious views. In similar manner to Gitt, John Sanford’s YAC views on origins led him to contribute to the conversation in his field—genetics. Sanford argues in Genetic Entropy and the Mystery of the Genome that there has not been enough time in evolutionary history for random mutations, which are almost always detrimental to an organism, to develop an ape into a man.30 With the Second Law of Thermodynamics in his favour, Sanford has a rational view that calls for defence. Of course many disagree with the conclusions of Gitt and Sanford, but the strong, reasoned arguments for and against their views are the very sorts of thing that will bring greater progress through adversarial science. A uniform group of evolutionists would not likely address the issues these men are raising and their work would consequently lack thoroughness. Physicist John Hartnett has made inquiry into possibilities most would not consider in cosmology, again, to the benefit of the field. 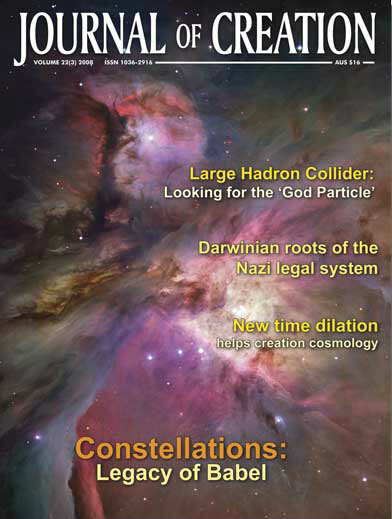 Hartnett has argued, based upon recent cosmic microwave background data, that a young-age view of the universe does not require the somewhat embarrassing non-baryonic cold dark matter that is a necessary postulate of old-age cosmologies.31 By offering a theory without the metaphysical baggage of great masses of unobservable matter like none known to man, Hartnett has forced establishment cosmologists to raise their standard for cosmological theories higher than simply ‘fitting the data’. This challenge is the very sort that should be welcomed in all areas of speculative science. If one recognizes the benefits that YAC has to offer science—increased accountability and rigour through an adversarial system and fruitful original research flowing from uniquely young-age hypotheses—one may yet have a grave reservation about accepting YACs as legitimate speculative scientists. Some may fear that such a shift would open the flood gates of change for science. Soon all manner of New Age pseudoscience and ritual, which often self-identifies as science, could become indistinguishable from speculative science that is actually working toward understanding the world through responsible and honest observation, experimentation and speculation. The concern is perhaps understandable, but science needs to take the risk nonetheless. 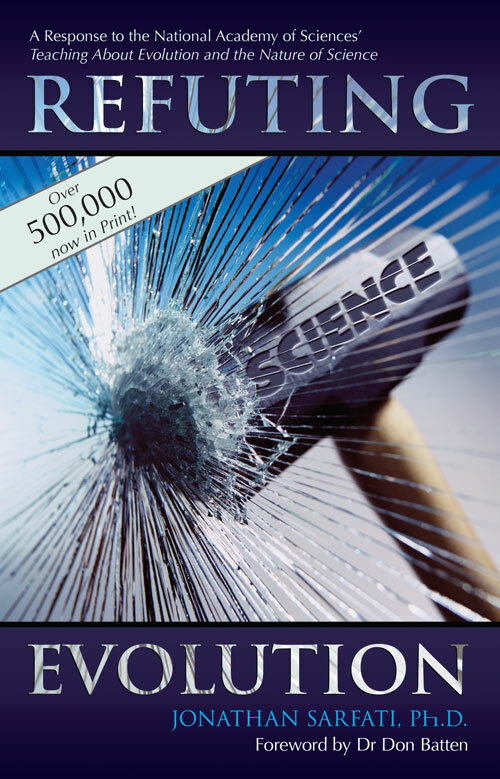 The Modern Age is over, and science is quickly losing its social stranglehold on truth. People are finished with ignoring the ultimate questions of life simply because the answers lay outside the bounds of ‘enlightenment’ science. Insofar as scientists continue to ignore the conversation going on about possible spiritual aspects of the world (some of which does inspire testable predictions, such as applied kinesiology) they are already abandoning our disillusioned youth to make up their own understanding of ultimate reality.32 Science used to pronounce the truth about ultimate reality at every opportunity. Now science cowers behind the unproven naturalistic assumptions that philosophy has laid bare, and scientists cannot utter the word ‘truth’ without a guilty conscience or duplicity. Science is epistemically naked because naturalists routinely refuse to consider supernatural hypotheses in the actual practice of science and thereby beg every ultimate question about life and the world as they ‘discover’ how life and the world began. The Modern Age is over, and science is quickly losing its social stranglehold on truth. People are finished with ignoring the ultimate questions of life simply because the answers lay outside the bounds of ‘enlightenment’ science. YAC, along with various other theistic science approaches, can help. Though not a young-age creationist, J.P. Moreland has made a very helpful suggestion for the epistemic rehabilitation of science. Moreland argues that science should abandon the mandatory presumption of naturalism and give more weight to a theory’s ability to solve conceptual problems when two theories give an equally good account for the data available.33 For example, YACs are now able to account for some of the data that lead scientists to big bang cosmology.34 At present the big bang is not allowed to have a cause or a reason outside of nature, so a cogent explanation for the existence of the universe is impossible. Since the supernatural young-age hypothesis can give a cogent explanation for the existence of the universe, the young-age view should have a serious advantage over the current model for cosmology, provided both views account for the data equally well. By facing up to the conceptual problems that plague presumptive naturalism, science could earn more epistemic respect, although a would-be scientific theory still must account for what empirical data are available in a satisfactory way. Science does not have to become philosophy, but it does need to stop ignoring philosophy in the regular practice of experimentation and especially in theorizing about origins. Although Intelligent Design advocates have some impressive conceptual advantages over naturalists, YAC has the potential to make a significant epistemic achievement that old-age models of creation cannot make. The presence of natural evil in the world is a serious conceptual problem for old-age creationists.35 Progressive creationists and theistic evolutionists have a serious conceptual problem in natural evil because they hold that natural evil was in the world before sin, which is supposed to account for natural evil in a Christian world. Only YACs can hold that the fall of man brought about natural evil without grossly convoluted arguments. At present, the Genesis account of creation remains a religious hypothesis, but as YACs begin to show that they can account for fossils, genes and the rest of the scientific data just as well as the other theories, their superior ability to solve conceptual problems like natural evil promises to make YAC a scientific theory to be reckoned with.36 The possibility of such success alone justifies exploring the scientific possibilities of YAC. Of course naturalists do not expect YACs to have such success, but they need to realize that they will gain epistemic merit just by letting them try. If YACs try and hopelessly fail to account for scientific data, naturalists will have one less opposing school of thought with which to contend in origins science. The public at large will no longer have reason to suspect that evolutionists are hiding something by disallowing other voices to be heard. More importantly, the process of addressing previously ignored conceptual problems will lead all speculative scientists to better hypotheses for really accounting for the data, rather than accounting for it as far as naturalism can go and then stopping. As scientific theories encompass a broader range of human experience and understanding in their explanations, they will become more warranted epistemically. If scientists really are looking to find truth, and if they really think science is the way to find it, they should welcome YAC as a competing voice in the speculative science of origins. They should take comfort in the knowledge that intelligent and determined individuals are doing every ethical thing they can to save them from any mistakes they may make. They should value the ‘outlandish’ hypotheses of individuals like Brand, Humphreys and Austin because such hypotheses sometimes lead to discoveries that may never have happened without young-age assumptions. They should pursue the epistemic improvement YACs offer to science through broadening her epistemic base to include a theory’s ability to solve conceptual problems among its potential merits. All scientists should accept YAC as legitimate science because YAC is good for science. Moreland, J.P., Theistic science and methodological naturalism; in: Moreland, J.P. (Ed. ), The Creation Hypothesis: Scientific Evidence for an Intelligent Designer, InterVarsity Press, Downers Grove, IL, pp. 41–66, 1994. Return to text. Whitmore, J.H. Experimental Fish Taphonomy with a Comparison to Fossil Fishes, Doctoral Thesis, Loma Linda University, Loma Linda, CA, 2003. Return to text. Beilby, J. (Ed. ), Naturalism Defeated? Essays on Plantinga’s Evolutionary Argument Against Naturalism, Cornell University Press, Ithaca, NY, 2002. Return to text. Alvin Plantinga argues to a roughly equivalent conclusion in: Plantinga, A., Methodological Naturalism? Origins & Design 18(1), 1997. Return to text. Miller, A., The Crucible, reprinted in: Coldewey, J. and Streitberger, W. (Eds. ), Drama: Classical to Contemporary Revised Edition, Prentice-Hall Inc., Upper Saddle River, NJ, pp. 899–942, 2001. Return to text. Although about the Intelligent Design movement in general, Ben Stein’s new movie, ‘Expelled’, documents some of the unfair treatment that creationists after the likeness of Giles Corey have suffered in the context of education. Education, of course, determines the direction for the next generation of scholarship. Return to text. Chamberlin, T.C., The Method of multiple working hypotheses, Science (old series) 15:92–96, 1890; reprinted in: Science 148:754–759, 1965. Return to text. Chamberlin, ref. 7, p. 756. Return to text. Kuhn, T. The Structure of Scientific Revolutions Third Edition, University of Chicago Press, Chicago, IL, 1996. Return to text. Kuhn, ref. 9, p. 152. Return to text. Kuhn, ref. 9, p. 170. Return to text. Brand, L., Footprints in the Grand Canyon, Origins 5(2):64–81, 1978. Return to text. Brand, ref. 12, p. 66. Return to text. Brand, L., Field and laboratory studies in the Coconino Sandstone, Palaeogeography, Palaeoclimatology, Palaeoecology 28:25–38, 1979. Return to text. Brand, ref. 14, p. 37. Return to text. 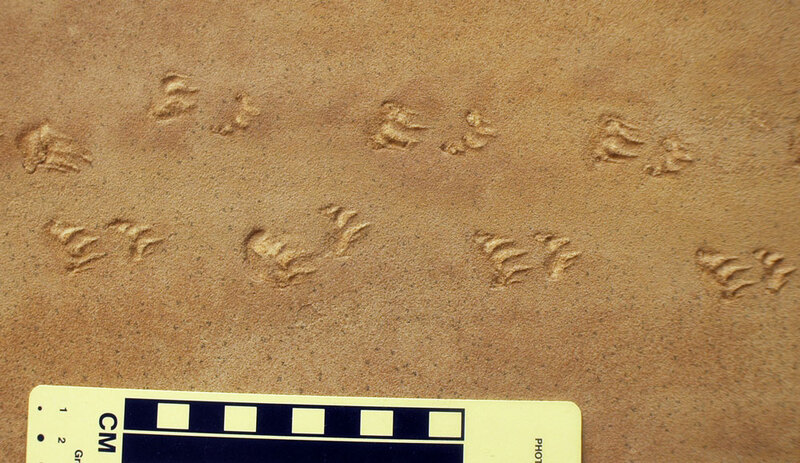 Brand, L. and Tang, T., Fossil vertebrate footprints in the Coconino Sandstone (Permian) of northern Arizona: Evidence for underwater origin, Geology 19:1201–1204, December 1991. Return to text. Brand and Tang, ref. 16, p. 1201. Return to text. Brand and Tang, ref. 16, p. 1202. Return to text. Middleton, L., Elliott, D. and Morales, M., Coconino Sandstone; in: Grand Canyon Geology Second Edition, Beus, S. and Morales, M. (Eds. ), Oxford University Press, New York, pp. 167–168, 2003. Return to text. Lockley, M., Comment and reply on ‘Fossil vertebrate footprints in the Coconino Sandstone (Permian) of northern Arizona: Evidence for underwater origin’, Geology 20(7):666–667, 1992. Return to text. Loope, D., Comment and reply on ‘Fossil vertebrate footprints in the Coconino Sandstone (Permian) of northern Arizona: Evidence for underwater origin’, Geology 20(7):667–668, 1992; p. 668. Return to text. Humphreys, D.R., Evidence for a young world, Impact 384:i, June 2005. Return to text. Humphreys, D.R., Accelerated nuclear decay: A viable hypothesis? in: Vardiman, L., Snelling, A. and Chaffin, E. (Eds. ), Radioisotopes and the Age of the Earth: A Young-Earth Creationist Research Initiative, Institute for Creation Research and the Creation Research Society, San Diego, CA, p. 348, 2000. Zircons are small silicate minerals which contain high concentrations of radioactive uranium. Radioactive decay of uranium produces helium gas, which gradually leaks out of the zircon crystals. Return to text. Humphreys, D.R., Young helium diffusion age of zircons supports accelerated nuclear decay; in: Vardiman, L., Snelling, A. and Chaffin, E. (Eds. ), Radioisotopes and the Age of the Earth: Results of A Young-Earth Creationist Research Initiative, Institute for Creation Research and the Creation Research Society, San Diego, CA, pp. 25–100, 2005. Return to text. Humphreys, D.R., New RATE data support a young world, Impact 366:iii, December 2003. Return to text. Austin, S., Excess argon within mineral concentrates from the new dacite lava dome at Mount St. Helens volcano, Journal of Creation 10(3):335–343, December 1996. Return to text. Baumgardner, J., Scientists who believe: an interview with Dr. John Baumgardner, The Lookout, February 8, 1998. Return to text. Gitt, W., In the Beginning Was Information: A Scientist Explains the Incredible Design in Nature, Master Books, Green Forest, AR, 2006. Return to text. Gitt, W., Information, science, and biology, Journal of Creation 10(2):181–187, August 1996. Return to text. Sanford, J.C., Genetic Entropy and the Mystery of the Genome: The Genome is Degenerating. Elim Publishing, Lima, NY, 2nd ed, 2005. Truman, R., From ape to man via genetic meltdown: a theory in crisis, Journal of Creation 21(1):43–47, 2007. Return to text. Hartnett, J., Recent Cosmic Microwave Background data supports creationist cosmologies, Journal of Creation 15(1):8–12, 2001. Return to text. I am not suggesting that there is any legitimacy to applied kinesiology or similar New Age ‘sciences’. Rather I am pointing out the need for scientists to take all rational claims seriously by testing them so that the public can make more informed decisions. Return to text. Moreland, ref. 1, p. 62. Return to text. Consider these young-age cosmologies: Hartnett, J., Starlight, Time, and the New Physics, Creation Ministries International, Australia, 2007; Humphreys, D.R., Starlight and Time: Solving the Puzzle of Distant Starlight in a Young Universe, Master Books, Green Forest, AR, 1994. Return to text. It is true that naturalists need not account for evil, but that one advantage helps little in light of naturalists’ inability to account for the existence of anything at all. Return to text. For a young-age account of genetic evidence, consider Sanford, ref. 30. For a young-age account of fossils, consider: Whitmore, J.H., Aren’t millions of years required for geological processes? in: Ham, K., (Ed. ), The New Answers Book 2, Master Books, Green Forest, AR, pp. 229–244, 2008. Return to text.